With the original and legendary PocketRocket® stove at its foundation, the PocketRocket Stove Kit has everything you need to cook-and-eat for two in the outdoors. This lightweight, simple but rugged stove delivers fast boil times at camp for quick meals after a long day. 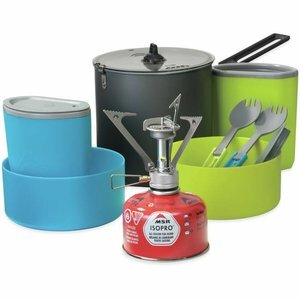 Two colour-matching dish sets include our ultralight Insulated Mugs, DeepDish™ Bowls and folding sporks. Everything nests inside the 2 litre aluminum pot to create an impressively lightweight and space-efficient kit for adventuring duos. 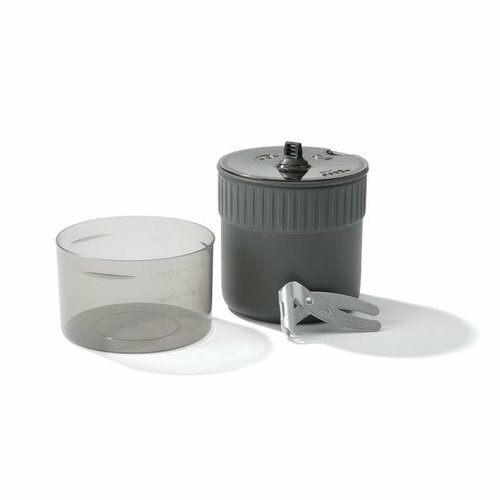 Fast-Boiling: Original PocketRocket stove boils 1 litre of water in 3.5 minutes; its WindClip™ windshield maintains its high efficiency in breezy conditions. 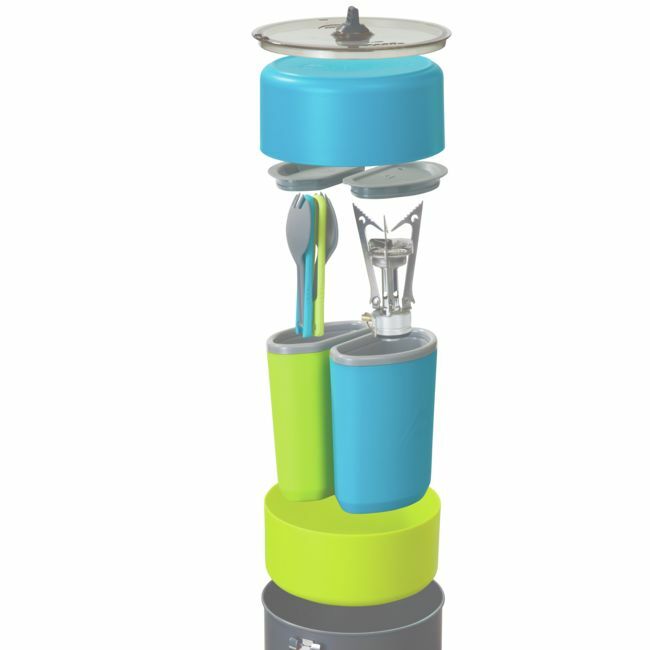 Compact: Whole system nests inside the 2 litre pot, offering space-saving efficiency and packing convenience. Includes: PocketRocket stove, 2.0 L hard-anodized aluminum pot, 2 DeepDish™ Bowls, 2 Double-Wall Insulated Mugs, a clear strainer lid and 2 folding 'sporks'.